Body odor refers to the unpleasant smell in an individual’s body. It occurs when excessive sweat mixes with bacteria. The bacteria breaks down the sweat into aromatic fatty acids which is the reason behind the unpleasant smell. In addition to that, body odor is also related to other causes such as poor hygiene, smoking, diabetes, gastrointestinal problems, genetic metabolic disorders, liver disease, hormonal changes, stress, etc. Consuming certain foods and beverages, such as garlic, onions, red meat, egg yolks, alcoholic drinks, can also contribute to a foul body odor. Although body odor is not a serious health condition that you should panic about, but it can be very embarrassing. It can affect your self-esteem, making you feel self-conscious when socializing with other people. If you want to get rid of the unpleasant body odor, there are few simple remedies that you can try at home to get rid of body odor naturally. Baking soda is an effective remedy for body odor. It can reduce body odor by absorbing excess sweat from the skin. It also kills bacteria and acts as a natural deodorant. Mix baking soda with some cornstarch and then apply this mixture directly to your dry underarms and other body parts where you sweat immensely to prevent sweating as well as foul smell. Apple cider vinegar helps in eliminating body odor by regulating the pH balance of the skin. For best results, you need to use unfiltered apple cider vinegar. Mix apple cider vinegar with water and have it three times before meals daily to reduce excessive sweating. Alternatively, you can apply a solution of apple cider vinegar and water to your underarm area before having a shower to control underarm smell. 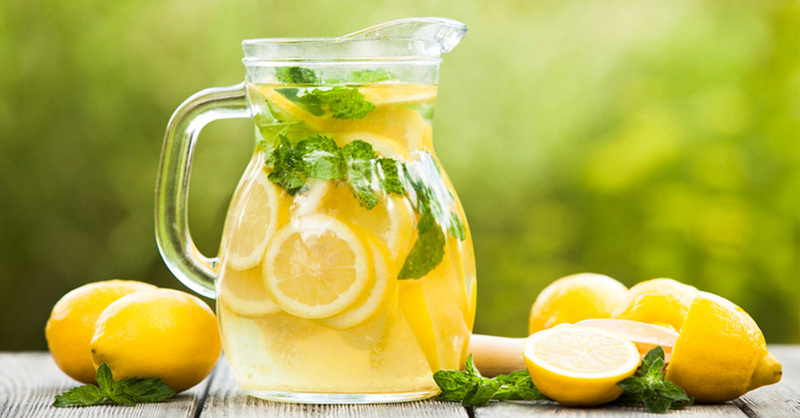 Lemon juice is acidic in nature and thus helps in lowering the pH level of the skin and make it difficult for the odor causing bacteria to live on the skin. Cut a fresh lemon into two halves and rub one-half of the lemon on the underarms. Make sure that the juice gets onto the skin. Allow it to dry for some time and then take a bath. Follow this remedy once a day for few weeks. This will keep the body odor away from you. Tea tree oil contains antibacterial, astringent and antiseptic properties which help in killing the bacteria present on the skin, reduce sweating and eliminate bad body odor. Mix two drops of tea tree oil with one ounce of water and apply the mixture on underarms, neck, chest, and back. This is very useful to get rid of body odor and perspiration. Note: If you have a sensitive skin, you should avoid using tea tree oil. The rosemary plant has the ability to inhibit the growth of bacteria responsible for body odor. It contains chlorophyll and menthol which are acts as a natural deodorant that reduces bad body odor and also gives you a nice fragrance. The presence of zinc in it also aids to reduce bad smell of our body. To get a good result, take half a cup of dried rosemary leaves and add it to 4 cups of water. Then wait for sometimes and apply it to the water of your bath. Rosemary dried powder also helps fight body odor and keeps you fragrant throughout the day. Tomatoes have antiseptic properties that will kill bacteria causing the body odor. They also helpful in reducing excess sweating by shrinking the pores. Crush 4 to 5 tomatoes and then extract the juice out of them. Add the extracted juice to a bucket of water and use this water to take a bath. You can follow this remedy once a day to reduce body odor. Or you can simply drink a glass of tomato juice daily to get rid of body odor. Wheatgrass is also effective in getting the odor removed from your body. It contains chlorophyll that helps eliminate body odor by decreasing toxins in the blood and controlling the activity of the acids. Mix 1 tablespoon of wheatgrass juice in a cup of water and drink it every morning on an empty stomach. Follow this routine every day until the body odor problem is gone. Note: Wheatgrass has a very strong taste that might be nauseating for certain people so you may need to be cautious. Turnip is another great home remedy for body odor. It is rich in vitamin C and other nutrients which are helpful in combating the body odor. Turnip also has antibacterial properties which can help prevent odor-causing bacteria. Take two or three turnips and cut them into small pieces. Then, put them in a blender and make a paste. Now, gently apply this juice to your armpits and groin area. Allow it to dry and rinse it off using warm water. Do this every morning for keeping yourself free from foul smell. Sage is a natural antiperspirant, so it can effectively absorb moisture and neutralize body odor. In addition, it also has antibacterial properties which will combat the bacterial growth on the skin. Mix some sage essential oil with olive oil and apply it to your underarms to reduce underarm odor. You can also simply drink one or two cups of sage tea daily to reduce the body odor problems.